At Commercial Divers Plus we want to provide our clients with the best commercial diving services available, with superior staff, safety, and knowledge for solving ANY underwater problem all at a fair price. Commercial Divers Plus is a professional commercial dive company that provides a variety of underwater services to it's clients. Efficiency and ingenuity are what keeps our clients coming back. Commercial Diving covers a wide range of diving services. If it has to do with water we probably have done it. We provide experience and staff for a variety of services. Inspections: hydroelectric dams, damage, pre-job, bridge, pipeline, potable water, cogen plants, contaminated water, wastewater, lagoon, sbr, settling basin and ponds, trash racks, survey, non-destructive testing (including ultrasonic) and ROV inspections. Welding & Burning: Welding is literally the glue that holds much of the underwater construction work together. Marine Drilling & Concrete Work: Experienced in concrete drilling, piling & pier work, anchoring systems, concrete repairs and pours. Repair of spalling concrete. Wastewater/Contaminated Water: Total unique repairs can be done in the wet. We can change diffusers, repair headers and any other mechanic joints. There are very few companies that do this kind of work! That is why we travel across the country to do these repairs in SBR, lagoons, settling ponds, settling basin reactors, etc. But our focus will continue to be the North East. Steel Work: From trash racks removal to complete structural steel construction. Hydroelectric Dams: Repairs and restoration can sometime mean very costly repairs and environmental permits, etc. Repairing in the wet can save time and money no need for special permits. We have saved our clients hundreds of thousands of dollars with our solutions. Even leaks in wooden crib dams can be slowed to an unbelievable minimum flow. Video & Photography: This is a great way to see what we see. See the results of a finished job, or maybe damage, leaks, etc. Don't take our word for it, see it for yourself!! We also provide mechanical drawings, written reports and solutions. We produce a top quality video product and presentation piece that very few commercial dive contractor companies can match. Salvage: Location and recovery of lost property. With divers or with a ROV we can assist in salvage or recovery. The Remote Operated Vehicle has assisted us on jobs that are deep, weather concerns or too dangerous. Safety first is our number one concern on every job. At any project, a hazard and job analysis is conducted, any environmental concerns are looked at and with daily assessments. Our safety record is excellent and we are committed to keeping it that way. Safety procedures are in place, from equipment maintenance to personnel training and lock out-tag out procedures. A copy of our policy concerning safety, hearing, PPE, environmental and hazard policies are on file and can be seen at any time. We comply with OSHA, Association of Diving Contractor, AWWA and US Army Corps of Engineers regulations. CDP is based in NH with many years of experience. We have the personnel and equipment to handle a variety of underwater tasks. We have a wide variety of specialty services that we provide and with more details when you check out our service buttons. Some of the services are Potable water- inspections and repairs, Waste-water restorations and repairs (especially in Aeration systems). Hydro dams-repairs and replacement of trash racks. hydro cones & gates, Marine drilling & concrete work, Welding and Burning, Drilling. Video and mechanical drawings. Salvage and Consulting. Additionally we have a Remote Operated Vehicle (ROV) weighing only eight pounds, a Mighty Mite in what it can accomplish. One of the most important qualities is that as a team we promote efficiency and safety. We are able to work so much more effectively as a team that we are able to accomplish and complete jobs so much faster than the average dive company. Most of our clients hire us on at time and material because we have built a trust with them that we always do the best job possible in the very cost effective manner. We do the job right the first time! WE ARE ALWAYS ACCEPTING RESUMES OF QUALIFIED DIVERS. 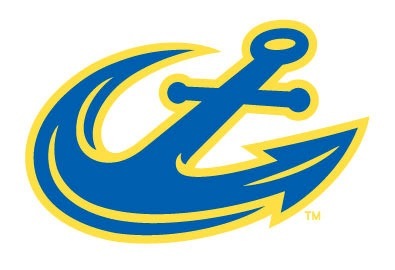 We are a proud supporter of Maine Maritime Athletics.